In 2018, we are celebrating the Year of the Dog, the 11th animal in the Chinese zodiac cycle. People born in 1922, 1934, 1946, 1958, 1970, 1982, 1994, 2006 and 2018. are under the sign of the Dog. It's described as being loyal, lovable, friendly and faithful. 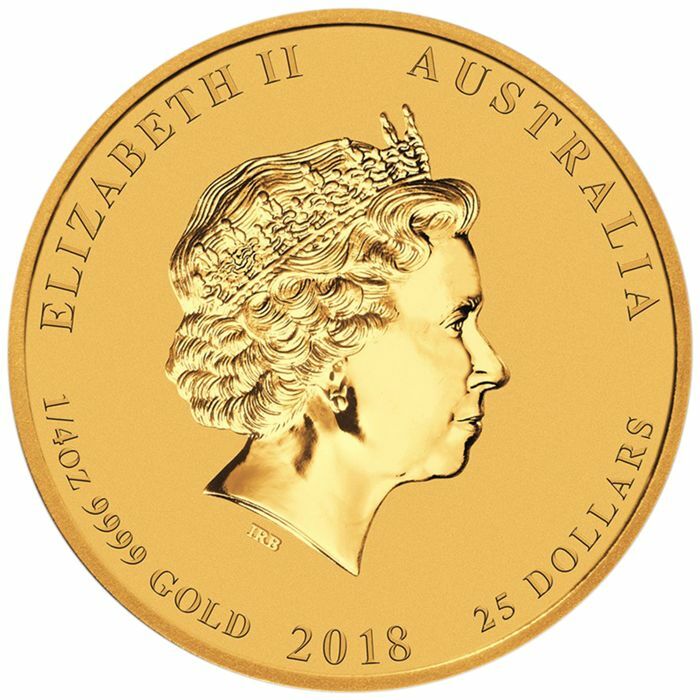 OBVERSE:Front: The obverse of this coin depicts a bust of Queen Elizabeth II; the design changed in 1990 to depict a portrait of the mature queen. On it at the top appears her name "ELIZABETH II" followed by "AUSTRALIA" as well as the face value 25 DOLLARS. REVERSE: You can see a labrador standing next to a pine tree. 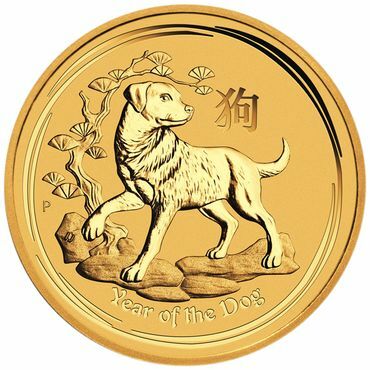 Also the inscription "YEAR OF THE DOG" as well as the Chinese symbol for Dog.